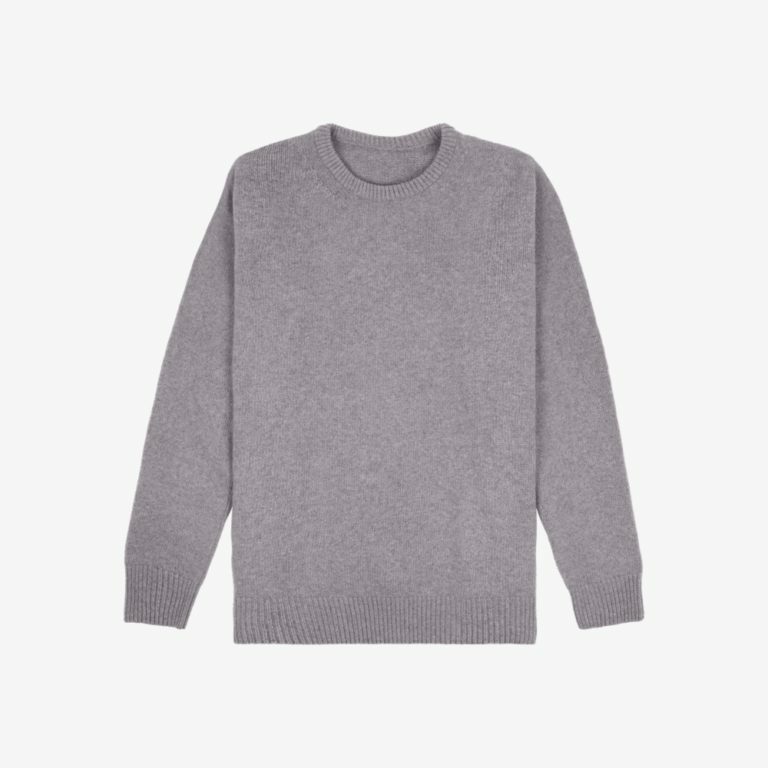 An innovative sweater, made with an ideal mix of cashmere and merino, creating a piece that doesn’t pill and is machine-washable. 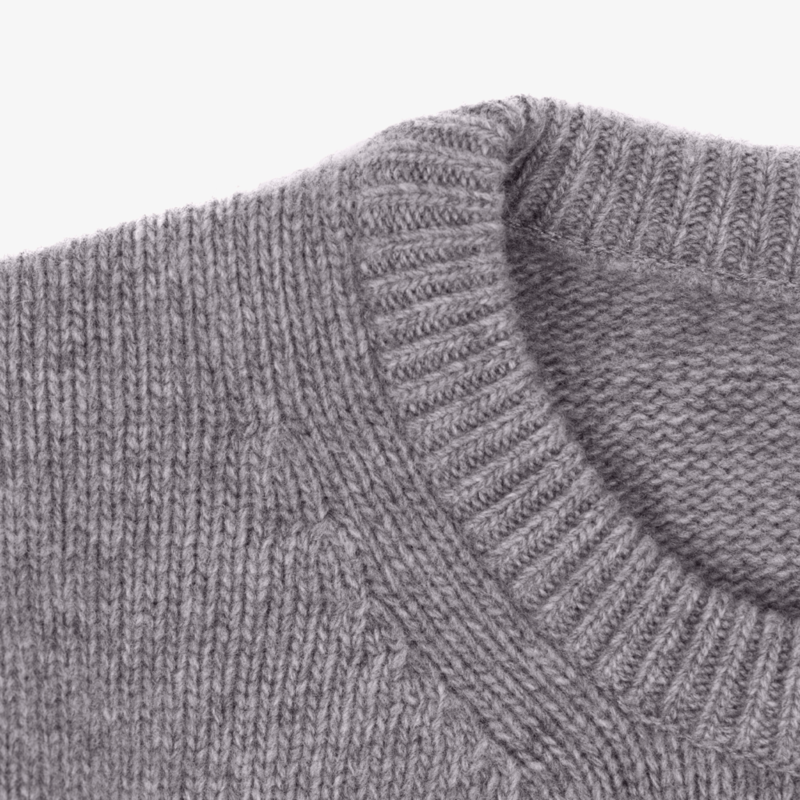 Thanks to a unique 3-ply knitting technique developed in Bulgaria, our sweater reflects the beauty of this Italian thread. 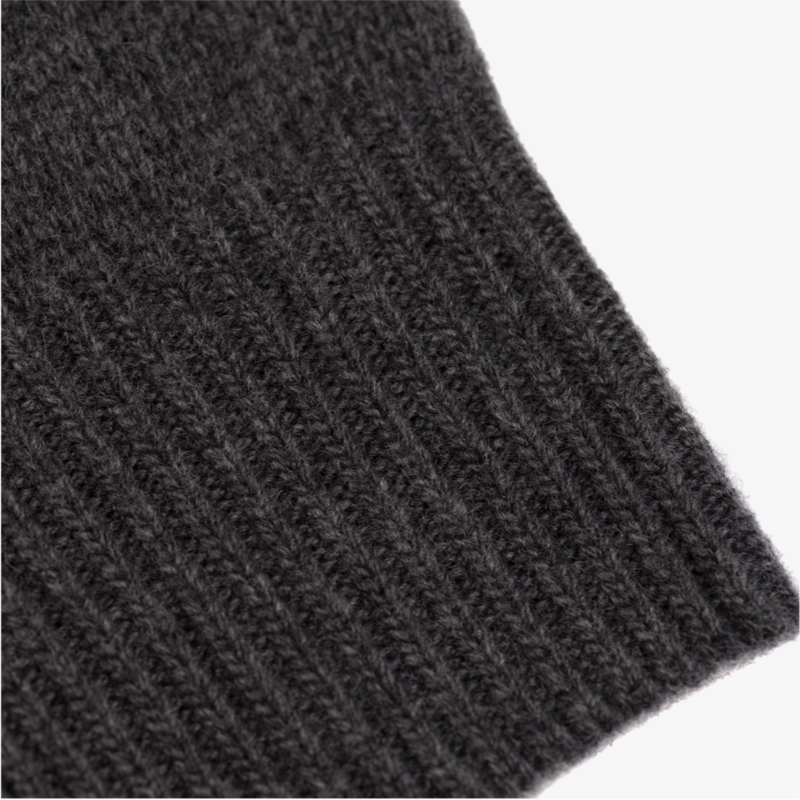 We collaborated with an knitwear expert who has been creating cahsmere and merino sweater for the past 7 years. The result is a unique thread, a mix of cashmere and merinos wisely dosed for optimal quality. Cashmere brings its softness and strengthen the effect of heat. 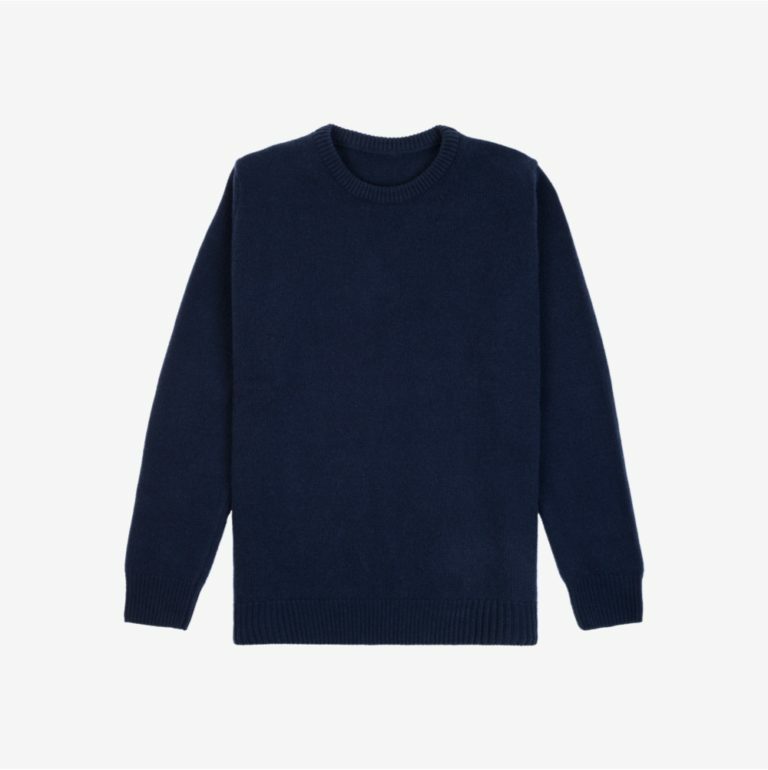 Merino allows the sweater not to pant, to be machine washable (at low temperature) and scentless. The thread is made in Italy by one of the most prestigious spinning mills in Europe. Its manufacture follows many processes regulated by ethical and environmental rules. We developed our prototypes with a Bulgarian factory. They have the latest generation of knitting machines, allowing us to create a 3-ply sweater. This unique combination, mid-way between 2- and 4-ply creates the ideal thickness we were looking for. We made a few prototypes to find the gauge that will suit for the sweater we wanted. This parameter represents the gap in the mesh, which plays between thickness and strength of knitting. 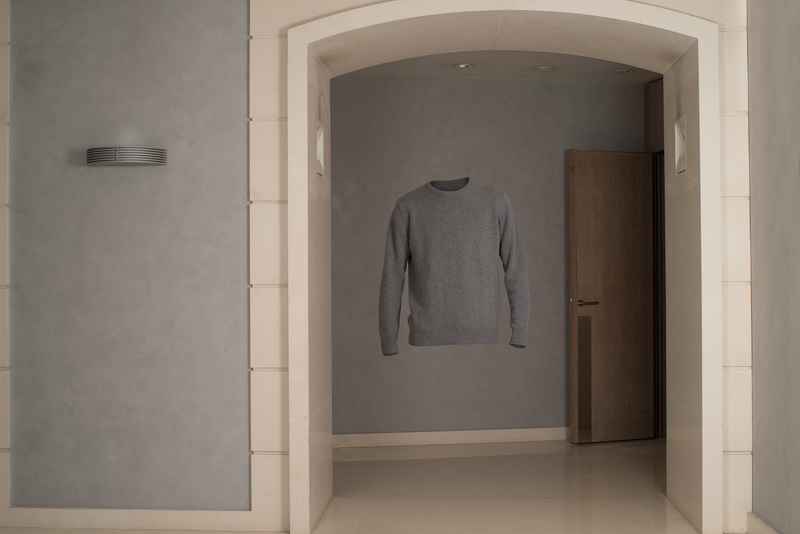 It’s important to find the right balance to have a sweater lasting over time. We’re proud that our Italian thread is certified by Greenpeace with a Detox label – meaning dangerous chemicals weren’t produced, used or released into the environment during production. 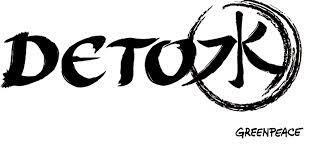 It’s an essential element of our brand. Because we offer this sweater directly to you via pre-orders on our website, we don’t have traditional costs of a luxury brand. We skip logistics fees, sales, business agents, retailers margins (brick & mortar or online). It allows us to offer luxury products at 93 € (~$ 114), instead of a 200 € (~$244) traditional retail price. 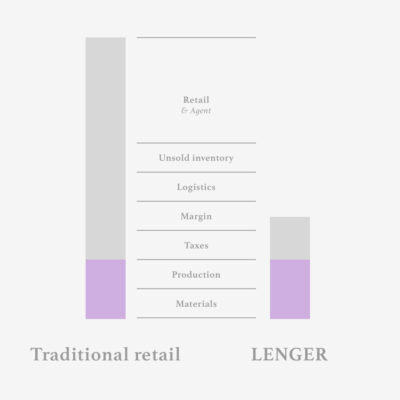 Based in Paris, Lenger was born with one focus : design essential objects with a minimalist approach using high-end materials at a fair price. We personally felt the need for these type of products. But how could we make luxury basics less expensive? Months ago, the idea of crowdfunding products started to pop up, and made lots of sense. First, by having people pledge to support a product, we could test it and see if it would be a good fit. And because we would sell all an entire production at once, we wouldn’t have stocks, unsold inventory, expensive individual shipping rates. That would cut a big part of logistic costs for a traditional brand. On the retail side, we wouldn’t have any middle man between you and us since we speak directly to you. That’s a huge chunk of prices: at least -35% for online marketplaces or -50% for brick-and-mortar shops.